Cook pasta to desired doneness as directed on package, adding corn during last minute of cooking time. Drain; rinse with cold water to cool. Meanwhile, in small jar with tight-fitting lid or small bowl, combine salad dressing, tomato sauce, cilantro and chili powder; shake or beat until well blended. 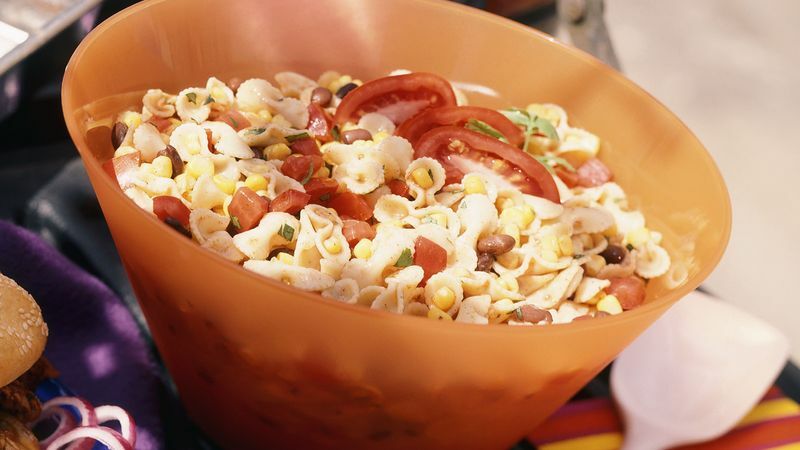 Place pasta and corn in large bowl. Add beans, tomatoes and dressing mixture; toss gently to combine. Serve immediately or refrigerate until serving time.